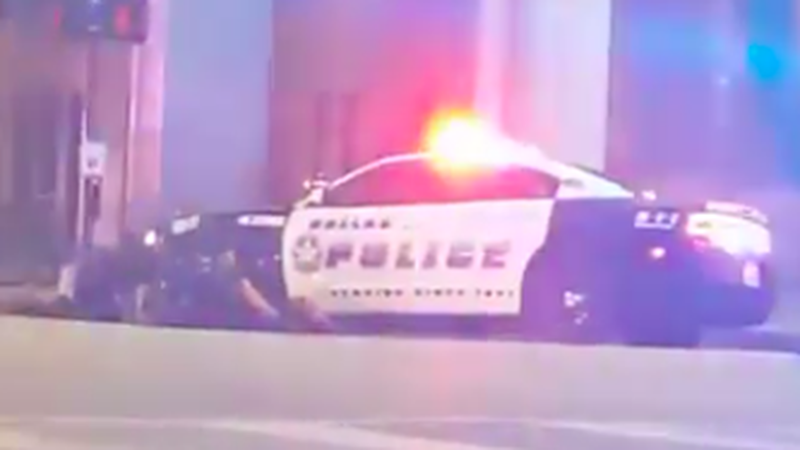 Dallas shooting shows power of social streaming — but how will this affect newsrooms? With Facebook taking one of the highest profile steps into live, social video streaming, the on-the-go and instantaneous advantages of the medium are likely to open up a new type of citizen journalism. Citizen journalism was all the rage in TV newsrooms a few years back — with many stations and even networks coming up with fancy branding. Though those names and constant promotion have faded into the background, the use of viewer contributed content certainly hasn’t gone away. The key difference, however, is that those types of user generated content were almost all submitted after the fact. However, with Facebook making its live streaming feature available to any user running its mobile app, as well as striking deals with media organizations and celebrities to produce content for the platform, there have already been some high profile cases of social streaming playing a key role in user generated reporting. Video from the shootings of Philando Castile and Alton Sterling surfaced online — with the moments after Castile’s shooting actually live streamed on Facebook. The subsequent protests nationwide and shooting in Dallas also were extensively live streamed by both amateurs and news organizations alike. News organizations have been using various live streaming tools, including Facebook Live and Periscope, to produce “behind the scenes” and “raw” style content outside the bounds of normal coverage for some time. Though, so far, live streams from non-station sources of volatile breaking news situations haven’t been used extensively, it will be interesting to watch how the continuing growth of this medium changes that. News organizations may very likely find themselves needing to rely on this type of content more and more, especially with the constant need for new, realtime information. Meanwhile, the archived versions of live streams, as in the case with Castile, have been used in TV reports after the fact. It’s this archiving feature that has already started building a whole new potential pool of source video for media outlets to draw on — though there’s also an awful lot of inane video of Facebook streamers telling their friends about their day out there as well. At the same time, the ability for anyone to go live from any location with a wireless connection is also taking away a key advantage TV outlets had for some time. While it’s obviously been possible to stream live video without a microwave truck or even fancy bonded cellular equipment for some time now, Facebook has now essentially placed a live truck in the palm of every user’s hands. Perhaps more importantly, Facebook smartly integrated its streaming technology directly into is primary app, rather than breaking it out like Twitter did with Periscope, meaning user adoption on both the streamer and viewer ends will likely be much faster. The use of live streaming video via social platforms is both an exciting new opportunity for journalism and one that should be viewed with caution. Live streams always have the ability to end up exposing viewers to graphic content that normally wouldn’t be aired, especially in emergency-type situations, but if the content is available elsewhere, news organizations may find themselves facing the tricky question of how much is too much in a world where we are increasingly subjected to unfiltered, albeit, horrific, scenes via social media. At the end of the day, there are so many exciting ways that this technology can be used to enhance TV and online storytelling, but there will likely be stumbling blocks and mistakes made along the way.